Use these best Web Page Speed Test tools to measure site speed and page loading times online, to help you identify slow pages and understand strategies to increase Page speed and improve site loading times. Super fast websites are essential now for search engine optimization, as Google algorithms do consider site speed in page search engine rankings. This is the official tool By Google to test the page speed of your site. 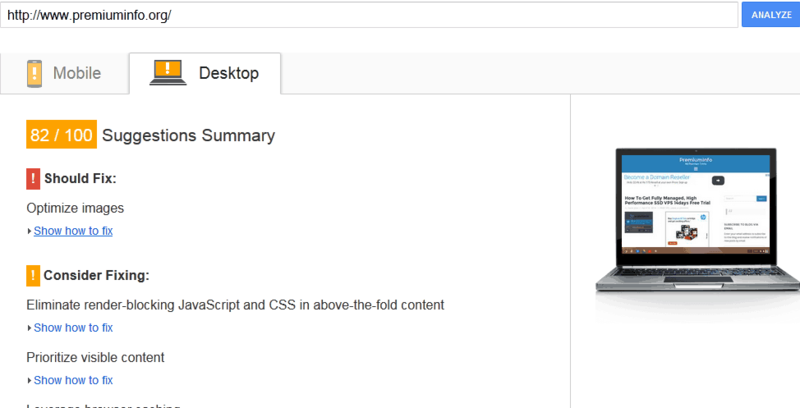 To use Google Pagespeed Insights, simply enter the URL which you want to test, and this Google tool will give the Page speed scores for both mobile and desktop view of that page. The desktop and mobile speeds are especially useful and a fast desktop site might actually be a very slow mobile site. It will suggest page optimization tips that can make the pages load faster. The page speed suggestions are also linked to resource pages so that you can understand what site modifications can make your pages load faster. This site speed testing tool called WebPageTest provides in-depth analysis of your site page load times and can provide detailed graphs and charts so that you understand clearly which site elements are slowing your site. It also provides score gradings based on five different parameters like first-time byte, keep alive enabled, compressed transfer, compress images, cached static content and effective use of CDN. It also provides full optimization checklist with detailed analysis, Waterfall view, content breakdown of site elements – to help assess what can be modified to speed up your site. It also gives an idea of page load times on first load and on repeat page loading, which can be useful for detailed interpretation. 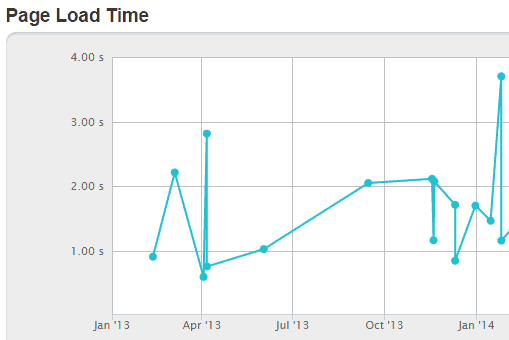 GTmetrix is a useful tool which provides in-depth analysis of the many speed parameters. It compares scores of Google Page speed with Yahoo! 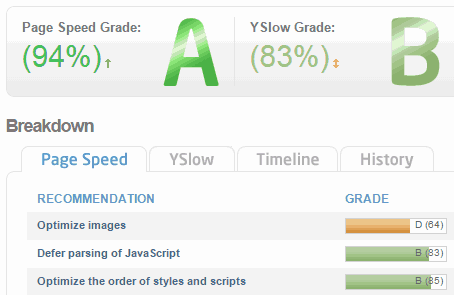 Yslow page load times, and a comparison of both gives a good idea. Based on both these scores, the tool gives page speed optimization recommendations based on several parameters and how the scores can be improved. 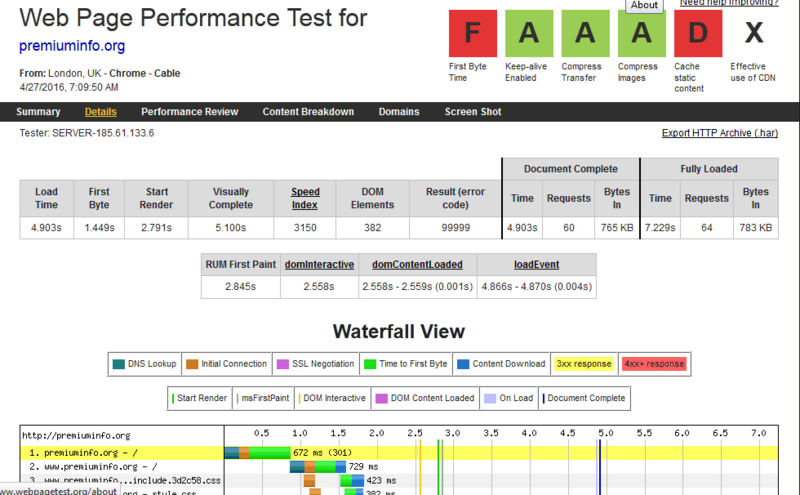 It also provides a waterfall view and page load timeline. It is yet another tool to assess site loading times. Pingdom Website Speed Test quickly analyses your site to give a waterfall view of different page elements and the time they take to load. It gives the performance grade on different common page speed criteria like minimize DNS lookups, leverage browser caching, minimize redirects etc. A detailed page analysis also analyses the content size and type and server code responses. What I really like is that it saves the history of your web page speed test each time you test it, and you can easily check it out from the history tab. Common page speed issues and their solutions are discussed and illustrated by Patrick Sexton. Most SEO tools are basically crap. They are used to gather information and promote paid services. I do not do that. In fact Varvy tools do not remember or record anything at all about sites that use them.